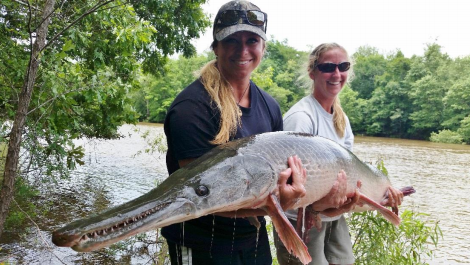 The Southern Division of the American Fisheries Society is dedicated to improving the quality of education for fisheries students by promoting the exchange of information and providing opportunities for continued learning. Together we can advance the conservation and sustainability of fishery resources and aquatic ecosystems around the world. In memory of Noreen Clough’s contributions to the field of fisheries management and conservation as well as her trailblazing as an early female leader in the American conservation community, her friends and colleagues have established a memorial scholarship in her name. This $1,000 scholarship will be awarded at the Southern Division, American Fisheries Society Annual Meeting to a deserving student. All nominees should be a female student currently enrolled in a graduate program at a recognized institution. This does not specifically have to be a fisheries science program, but the student must demonstrate a commitment toward a career in fisheries science with an emphasis on management and/or conservation rather than academia. The student selected to receive this award will be the applicant that best reflects Noreen’s passion and commitment to the profession. Prepare an essay, no longer than 1,000 words, which describes why you believe you are deserving of this scholarship. Applicants may want to include career aspirations, personal interests or other relevant factors in the essay. Additionally, please attach a current resume which includes 1) full name, 2) complete mailing address, 3) e-mail address, 4) best telephone number, 5) school name and location, 6) degree sought, 7) expected graduation date, 8) summary of your education, 9) summary of work history, and 10) other relevant experience/qualifications/references. The 2017 recipient of the Jenkins Scholarship will receive a check for $500 and will be recognized at the Spring SDAFS business meeting. The award will be made directly to the student and not the student’s educational institution. It can be used for any aspect of the graduate education including, but not limited to, tuition, textbooks, equipment, travel or living expenses. It is not intended to replace any funding obligated to the student. Jenkins Memorial Reservoir Research Scholarship sponsored by American Aquatics, and Fishiding. Hunter’s M.S. work at Mississippi State University focused on the effect of supplemental brush piles and agricultural plantings in mudflats on the growth and recruitment of juvenile gamefish in Lake Enid Reservoir, MS. Hunter is now a Fisheries Biologist with the Florida Fish and Wildlife Commission in Tallahassee, FL. Jeremy’s M.S. 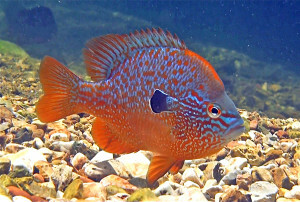 work at Auburn University focused on the economic impact of fishing on Lake Eufaula to surrounding communities in Alabama and Georgia. Jeremy will defend his thesis in October and is currently looking for employment. 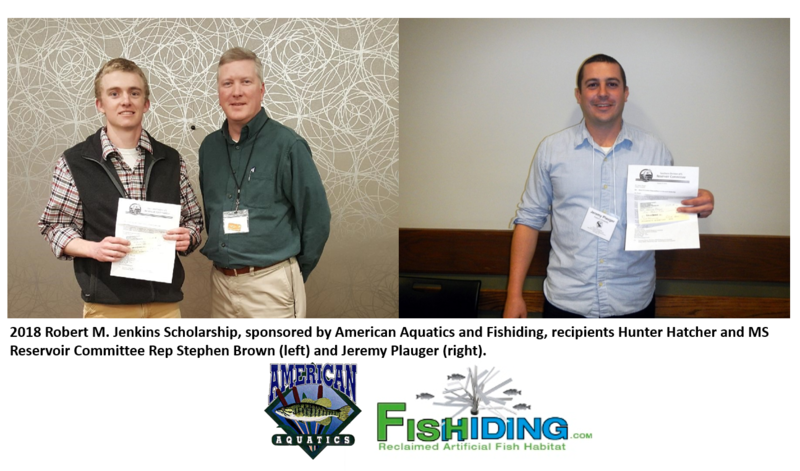 Hunter, Jeremy, and the Scholarship sponsors were recognized at their local state chapter AFS meetings. Congratulations Hunter and Jeremy! Application materials must be received by close of business December 1. This includes the APPLICATION FORM and associated documents and letter of recommendation. Application materials should be submitted via email to [email protected]. Please contact Jeremy to make other arrangements for application material delivery, if necessary. The RC scholarship committee chair will distribute the application packets to the review committee. Provide a letter of introduction and recommendation from the applicant’s major professor or faculty adviser. This letter should state how long and in what capacity they have known the applicant. In addition, the letter should address the applicant’s promise as a future fisheries scientist. It should be submitted via email to the scholarship committee chair (see info above). Southern Division: Jimmie Pigg Memorial Outstanding Student Achievement Award The Warmwater Streams Committee (WWSC) was established in 1976 as a technical committee within the SDAFS in order to address issues related to warmwater streams. 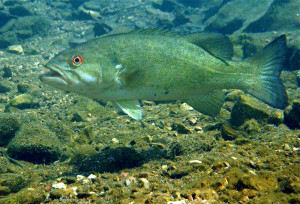 The Committee promotes the conservation and management of warmwater streams by providing a forum for the exchange of ideas, information, and concerns. The WWSC is also committed to the development of fisheries professionals. In pursuit of this effort the Committee created an Outstanding Student Achievement Award in 1997 to recognize university students showing exceptional progress in their research, education and professional endeavors. In 1999 the award was re-named the Jimmie Pigg Memorial Outstanding Student Achievement Award (JPMOSAA) in honor of Jimmie Pigg, a longtime supporter of student activities and AFS. Learn more about Jimmie Pigg here. The recipient of the JPMOSAA receives a plaque, funds for travel to an AFS meeting, and a one-year membership to AFS. Recipients have historically been recognized at the SDAFS Spring Meeting. Beginning in 2011, students attending other AFS meetings became eligible to receive the JPMOSAA (see details below). Each year, the WWSC will select one recipient for the JPMOSAA. Both MS and PhD students are eligible to apply but preference is given to MS candidates. Students must be either currently enrolled or have been enrolled during the previous academic year in a university within an SDAFS member state. Selection criteria are based on research, education, professional and civic activities. 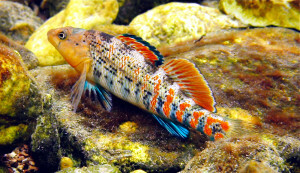 Research and education activities can be associated with any aspect of warmwater streams ecosystems. An outstanding undergraduate or higher educational record including courses pertaining to fisheries or aquatic biology and warmwater streams ecology and management are highly desirable. 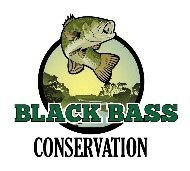 Professional activities in fishery-related student organizations, AFS Chapters, and similar organizations are also desirable. Applicable public services can include any voluntary activities but those pertaining to conservation and fishing are most desirable. All nominees must be willing to present their research at any of the following meetings: the SDAFS Spring Meeting, the AFS national meeting, or any state AFS chapter meeting. A committee of WWSC members will serve as the selection committee. All nomination materials must be submitted by December 1st each year. The application can be found HERE. 2015 Recipient: The SDAFS Warmwater Streams Committee is proud to announce their selection of Mr. Tomas Ivasauskas to receive the Jimmie Pigg Memorial Outstanding Student Achievement Award for 2015. Mr. Ivasauskas, a student at North Carolina State University, was selected for his commitment to student excellence in warmwater streams-related research, education, and professional and public service. He was presented with the award at the SDAFS business meeting in Savannah in January 2015. Congratulations, Tomas! This scholarship was created at the 2015 Southern Division Spring meeting to provide financial assistance to a graduate student (Master’s or Doctorate level) in the southeastern United States (Alabama, Arkansas, Washington D.C., Florida, Georgia, Kentucky, Louisiana, Maryland, Mississippi, Missouri, North Carolina, Oklahoma, Puerto Rico, South Carolina, Tennessee, Texas, Virginia, Virgin Islands, West Virginia) who is studying catfish-related fisheries management. This scholarship was also developed in an attempt to garner more student involvement in the Southern Division Technical Committees. A 3-person sub-committee (Chair, Secretary-Treasurer & Chair-Elect) will review applications and present recommendations to the Committee at the annual winter meeting held in conjunction with the SDAFS Spring Meeting. One $300 scholarship will be awarded annually to a student with outstanding research and academic performance. This award will be made directly to the student and not the student’s educational institution. It can be used for any aspect of the graduate education including, but not limited to, tuition, textbooks, equipment, travel or living expenses. It is not intended to replace any funding obligated to the student. Scholarship recipient is notified ahead of time and is required to present the results of their study to the Committee or at a conference where the Committee is holding a regular meeting. 1. Complete the application process by December 15, each year. The application can be found HERE. 2. Provide a copy of your research proposal indicating its relevance to catfish fisheries management and research in the southeastern United States. It can be submitted via email to Jerry Brown, Committee Chair, [email protected]. The committee chair will distribute copies to the review committee members. 3. Provide a letter of introduction and recommendation from the applicant’s major professor or faculty advisor. This letter should state how long and in what capacity they have known the applicant. In addition, the letter should address the applicant’s promise as a future fisheries scientist. It can be submitted via email Jerry Brown, [email protected]. The committee chair will distribute copies to the review committee members. 4. After the deadline has passed, the review committee will rank the compiled information for the applicants and make selections several weeks before the Southern Division meeting. If the scholarship winners are attending the SDAFS Spring Meeting they will be presented an official AFS plaque and scholarship check at the Business Meeting. 5. Winners of the Catfish Management Technical Committee Scholarship are encouraged to present their research at future AFS meetings. Credits: The photographs on this page are courtesy Brandon Brown, Oklahoma Department of Wildlife Conservation.